eBay is about to branch out into the geo-location and deal market with the acquisition of a company called Where. The “Where” phone app, helps you find the best places to eat, drink and be merry based on your current location. They also run anad publishing networkthat specializes in hyper-local ads. 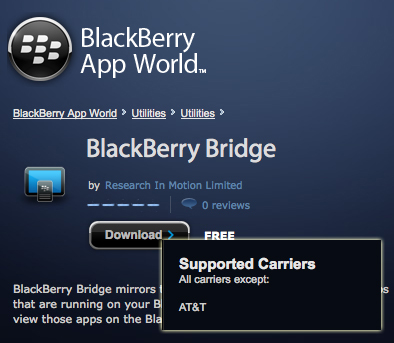 Since the BlackBerry PlayBook becameavailable in stores yesterday, there have been a string of complaints and notable issues with the device. Many were frustrated by the device’s lack of native email and calendar apps, but those concerns were slightly assuaged by the Bridge App which allowed users to seamlessly connect their new PlayBooks to their existig RIM smartphones. Meanwhile, the restaurant chain gets unexpected buzz out of the fact that today is a special day for pot smokers. Imagine if you could make a TV commercial “clickable.”IntoNowhas taken the first step with their new feature which allows you to check-in to commercials in return for a prize. Applereleased its second-quarter financial results today. This includes a record March quarter driving 83% revenue growth, and 95% profit growth. Second quarter revenue came to $24.67 billion with profit at $5.99 billion ($6.40 per diluted share). For the same period last year, the company reported 13.50 billion revenue and $3.07 billion profit. Marketing VP Steve Cannon talks social media marketing at NYIAS. CliffFigallo says: Thanks to an article submission to SMT by Ben Watson, I watched the Prezi of this recent presentation by the curator of the TED Conferences, Chris (not from WIRED) Anderson. I then watched the video of the entire presentation, How web video powers global innovation. It awoke the spirit of my inner videographer. According to ClickZ, Google is getting ready to offer behaviorally targeted ads on their network of iOS and Android applications. To do so, they’ll have to begin tracking the “device identifier” which are unique to every mobile phone. As we reported earlier, theBlackBerry PlayBook officially went on the market today. One of the most talked about issues with the tablet was its lack of native email and calendar clients. Yahoo revenue in Q1 2011 fell 24 percent as display revenue rose 6 percent. RohnJayMiller1 says: The professional anguish is that from a market perspective this move seems so unnecessary—the Flip continues to thrive as a business, filling a market that The Flip invented: low cost, just good enough, one click video recording. Before the Flip was invented camcorders were expensive and bulky. The Flip fits in your shirt pocket and can shoot in an instant, all for $129. Going online to research a product before you buy it is something nearly everyone does at least a few times a year. People look up everything online, especially high-tech items, clothing, cars, and even DVDs and CDs. And you can bet that what they read online is influencing which item they buy and who they buy it from. But where do people look for information?Lightspeed Research has the answer. Yahoojust posted its first-quarter results. Revenue excluding traffic acquisition costs was down 6% from the year-ago period at $1,064 million. This is primarily due to the revenue share related to Yahoo-Microsoft deal, the company says. Year-over-year revenue was otherwise flat. Razorfish, CP+B, and others talk with ClickZ about the new forum.